The Eparchy of Jagdalpur comprises the present Bastar revenue division. i.e. the southernmost 7 districts of Chhattisgarh such as Kanker, Narayanpur, Bastar, Dantewada, Kanker, Sukma and Bijapur. The total area is 39176 Sq Kms and population is about 29 Lakhs, constituted of Adivasis who form the major bulk of the population (69%). It was in 1966 that Bastar region was separated from the Eparchy of Visakapattanam and added to the Apostolic Prefecture of Raipur. His Holiness Pope Paul the VI separated Bastar area from the prefecture apostolic of Raipur, by his papal bull ?Indorum gentes? (people of India) on the 23 March 1972 as the Exarchate of Jagdalpur, under the missionary care of CMI Congregation, with Msgr. Paulinus Jeerakath CMI the Exarch. On the 23 July 1972 Mgr. Weidner officially handed over the care of this mission to Msgr. Paulinus Jeerakath CMI and his collaborators of CMI congregation. 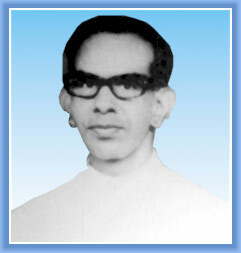 The first missionaries were with him were Mar Joseph Kollamparampil (present Bishop), Fr. 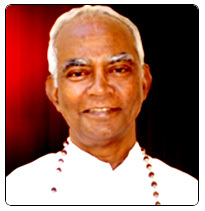 Simon Stock Palathra CMI (Bishop Emeritus), Fr. Kurian Macheril CMI (former administrator), Fr. Joseph Varkey Puthenpurackal CMI and Fr. Abraham Thuruthumaly CMI. Lal-Bagh, Jagdalpur, Bastar Dt, M.P.